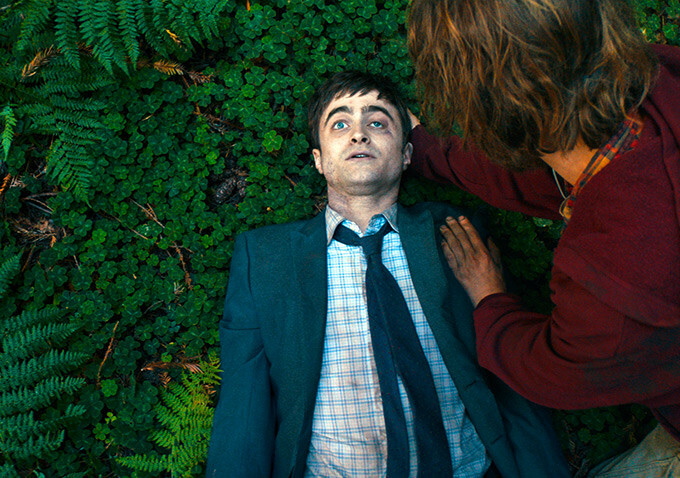 Blackbird Films and Cold Iron Pictures have released the first Swiss Army Man still(s) and synopsis via IndieWire. The film will has it's World premiere at the Sundance Film Festival today. 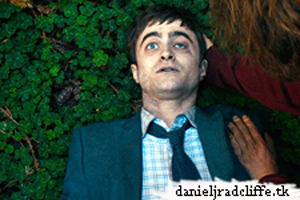 Below you find the still which features Daniel and Paul Dano. Alone on a tiny deserted island, Hank has given up all hope of ever making it home again. But one day everything changes when a dead body washes ashore, and he soon realizes it may be his last opportunity to escape certain death. After befriending the corpse and gradually discovering his special powers, the duo go on an epic adventure to bring Hank back to the woman of his dreams. Music video gurus DANIELS, a.k.a. Daniel Scheinert and Daniel Kwan, craft a wholly original debut feature bursting with limitless creativity both in content and form. Their consistently surprising script spans a wide range of emotions: from the ridiculously absurd to a touching exploration of what it means to be human. Not to mention, it's a musical. 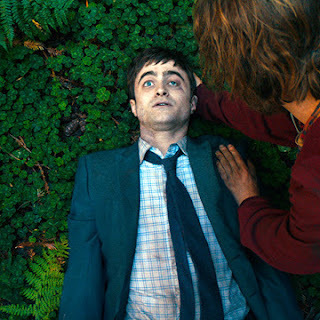 Given what are likely to be some of the most unique roles of their acting careers, co-leads Paul Dano and Daniel Radcliffe give their all to a movie that celebrates the wonder that cinema offers.